The subtext here is that to understand Sartaj Singh and this book’s other protagonist, the gangster Ganesh Gaitonde, it's important to know about the quotidian details of their lives – and in some cases, of other lives they come into contact with. The specifics are crucial to a meaningful portrayal of their worlds, and Chandra thoroughly explores those specifics, even to the extent of including long asides about tangential characters. 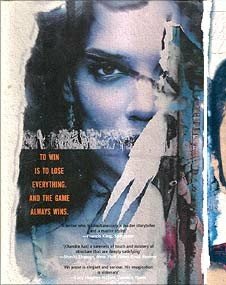 The book-jacket description makes Sacred Games sound like a cat-and-mouse story between the cop and the gangster, but this is misleading: the only encounter between Sartaj and Gaitonde (or at least the only one where each knows the other) occurs very early on, and both men are weary and beaten down in different ways. Gaitonde, driven into a state of paranoia, has ensconced himself in a strange, cube-shaped building in Kailashpada. Sartaj is outside, waiting for him to surrender. They talk, banter; Gaitonde starts telling Sartaj stories from his early life. Shortly afterwards, the door to the building is mowed down and the inspector goes in to find that the gangster's long and bloody career has finally ended at his own hands. Sartaj carries on with his regular routine: investigating murder and blackmail cases, helping his boss ferry "unofficial earnings" to a consultant, visiting the widow and children of a constable who died during a stakeout – and then learning to his shock that the Gaitonde episode isn't quite over yet, that something bigger is afoot. Meanwhile, in a charming narrative device, Gaitonde continues speaking to Sartaj (and us) from beyond the grave, telling the story of his rise to power, his triumphs and failures. 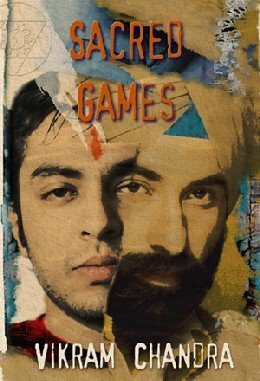 Sacred Games is an account of the intersecting lives of the policemen and the underworld – their clashes, their interdependence, how their biggest decisions come from the demands of surviving in the big city. In many ways Sartaj and Ganesh are two sides of the same coin, and Chandra underscores this by drawing many parallels between them. Again, the little details are important: the image of a severed foot forms a crucial part of each man's memory of the 1993 bomb blasts; Sartaj hums "Mehbooba Mehbooba" to himself while driving, and a couple of pages later there's Gaitonde watching Sholay for a second time; on different occasions and in unrelated contexts we see them frequenting the same places; each man is haunted by apocalyptic visions and by lack of sleep. The search for identity, the making and remaking of it, is vital to their stories. 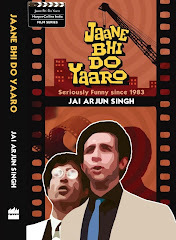 Sartaj is discomfited by memories of his upright father, who an old acquaintance matter-of-factly (and resignedly) describes as "the only honest policeman I've ever known". It's a long shadow and he can't escape it; when a woman meets him privately and tries to pay him to investigate a case, he puts on an indignant front, threatens to arrest her for bribing a policeman – but his instinctive reaction on seeing the money is to snap, "Listen, this isn't enough!" But he accepts the mantle of Krishna bhakt and Hindu don as an exercise in image-building, and gradually comes to believe in his own legend. All gifts are betrayals, he reflects, Nothing is given to us without something larger being taken away...becoming Ganesh Gaitonde the Hindu bhai was itself an act of murder, it was the murder of a thousand and one other selves. At one level, Sacred Games is a fast-paced thriller driven by conversation and incident (this aspect is stressed by the delightfully lurid cover, complete with gaudy title font and portraits of Gaitonde and Sartaj that bleed into each other, the faces sharing a common eye). But running between the pages of this book is another, more thoughtful, more cynical narrative about the nature of identity, and the endless and unknowable workings of action and reaction. This second book is driven by the characters' interior lives, their attempts to make some sense of their world, and their inherent nihilism. But reading a book of this size, it's always possible to wonder how much detail is too much – and, conversely, how much can ever be enough. As Hurree babu points out in this column, the really large books make a very particular set of demands on the reader. You have to struggle with the things for days, move through chunks of 60 or 70 pages at a time, live with a set of characters for a long time. Muscles get sprained, the physical and mental investments made are big ones – and so, when such a book turns to be merely good rather than spectacular, the reward doesn't seem commensurate with the effort. Despite being a reasonably patient reader, and someone who does this for a living, I felt this way at times with Sacred Games. Nearly all the bits that dealt directly with Sartaj or Ganesh are compelling – one exception being Gaitonde's spiritual odyssey, which is as tedious as similar passages in Kiran Nagarkar's God's Little Soldier – but the four "Insets", which add up to around 150 pages, are more problematic. Some of the material here, taken on its own terms, is as good as anything the author has done before – notably a flashback to the early life of Sartaj's mother, who lost her elder sister in Partition riots. But I was never convinced that it all belongs in this book. But reading a book of this size, it's always possible to wonder how much detail is too much – and, conversely, how much can ever be enough. There is also this question of how the realistic novel of contemporary times will look like (and his website puts this novel in the tradition of the nineteenth century realistic novel) ? Can writing about surface detail, however accurately and compellingly, ever capture "reality"? "Can writing about surface detail, however accurately and compellingly, ever capture "reality"? " That's interesting. It begs the question of whether the purpose of the novel is to capture reality. Surely not. But how we judge a novel (or any artform for that matter), certainly has its basis on how real it feels to us. How well it captures our own world. Alok: in fairness, I have to say that Sacred Games is about much more than surface detail. The question I asked would be just as pertinent to the very best 19th century novels. I liked both his books, and I remember this being mentioned in a review of LALIB that Sartaj Singh is a good candidate for a spin-off. About the question of detail,it may sometimes be an end in itself. Purpose is not necessary. Unless absolutely required, I believe that any author crossing 600 pages in a novel has failed to express his ideas completely. There should be compelling reasons for an author to go beyond that limit for me - I hated Shantaram - it was long and laborious. From your review, it seems this book is going that way. Which means, I will prefer to end up reading three other "great" books of 300 pages instead of this 900 page just 'good' book. couple of things bothered me, the lack of a timeline. until the mention of bombay blasts and somewhat tangentially of when mobile phones came to india, there is no indication of when the gaitonde story is happening. only very late in the book is it mentioned that hes 27 yrs old and suddenly he seems too young (afterall i am already some 500 pages into the book). one of the persons the book is dedicated to, S.Hussain Zaidi is a journalist who wouldve helped chandra with his research and is mentioned(without the name) in the book when gaitonde wonders if he shd call the press, when he decides to turn himself in. my guess is chandra didnt find the zaidi equivalent for the big bomb story... disappointing! Idiot: thanks, but I'm confused: where in the review did I say it was a "great book"? Yes, I agree that most casual readers (and even a few who read professionally) won't manage to finish it. I myself rushed through the penultimate chapter ("Two Deaths in Cities Far From Home") - though I did return to it after interviewing Chandra, and read it as a separate chunk the second time around. Ohhhhhhhh, you should listen to moi's lill' "Krispy Krishna" song. i thot u said "its a good book and not a great one" somewhere. u didnt...my mistake. then i thot maybe its the import of what u said, it is and isnt. i think i got muddled by this line: Pared down, Sacred Games could have been a great 700-page, or maybe even 600-page, book. i picked up the book last evening : it really took an effort after a serious glance at the cover illustration : too bloody trashy : anyways i did ! kept up half the night . . . scored a hundred odd pages . . . glued for sure . . . had to reason to go to work this morning . . . the imagery the read has evoked till now has been simply in sensory terms : mother^ f&^%&^ing great ! Sacred Games won't be available here in the US till Jan., but I got a copy from Amazon UK and finally finished it this morning after 8 days of fairly close-reading. I must say I was completely enthralled by the large majority of the book, with the exceptions being a couple of the 'Inset' sections, which I felt stalled the story's momentum unnecessarily, particularly the last one "Two Deaths, in Cities Far From Home", that felt anti-climactic while I was reading it and left a disjointed tone to the entire ending, a disappointment finally, and a lousy way to end a mostly terrific book. And was I the only one who thought Gaitonde wasn't really dead when he was found in the bomb shelter by Sartaj? After the gun blast Gaitonde was described as having "half his head gone" and therefore unrecognizeable; then immediately Sartaj and Katekar were abruptly dismissed, which seemed to imply some sort of cover-up was taking place, another reason to suspect the death a ruse. And moreover, with the very next chapter beginning in Gaitonde's voice, "So, Sartaj, are you listening still? Are you somewhere in this world with me? ", I really didn't make the imaginative leap that it was his ghost speaking, but thought he'd managed to elude his pursuers yet again. I REALLY loved this book. It was fantastic. I only have one silly question... what was the significance of the last "Inset" chapter at the end? Who was Aadil and Daddi (who called for Nikki)? Jabberwock: thank for your reply. I guess after 900 pages it's easy to miss a name or two! When you have two characters as interesting as Gaitonde and Sartaj, you don't want to spend so much time away from them. True. I skipped the whole partition chapter. Not because it wasn't interesting. I just didn't want to wander too far away from the main characters. I really enjoyed the book although it did ake me a while to get through as I don't have as much time to read as I like. It was for me similar to Pillars of the Earth ? I appreciate the prior response about the sister - what happened to the nuclera device and stopping it ? Can someone expand on the Daddi/Navreet thing for me? Who was the Muslim she married? Why didn't she try to contact her family during partition? Why didnt she tell her son her true identity? But, if this is indeed the implied relationship, then I must begrudgingly admire Mr. Chandra. It’s such a subtle connection and so understated that it drives me crazy, but keeps me hooked to this book until I have it settled in my head. While it leaves me frustrated and tired after 900 pages, I am still intrigued. At least Chandra has churned up more than just the simple closure, stretch and yawn that comes from an easy read. "I’m not sure that will be enough to satisfy the casual reader, say someone who gets through 15-20 books in a year and expects all of them to be paisa-vasool" - I think Philip Roth had once said, "Anyone who spends more than a week reading something is not actually reading it". Do you agree with it? I don't see how anyone can possibly "agree" with any statement that's so sweeping, but I do get his broad point.